It’s been nearly a decade since Tiffany & Co. last released an engagement ring style tailored to its iconic brand, but starting Wednesday, Sept. 18, the luxe jewelry company will introduce a new cut to its long line of reputable stones: Tiffany True. The design boasts of a larger exposed surface area than on any other diamond cut, which will help show off the quality of the stone itself. This is achieved through heightened contrast and dispersed light, completely designed to be minimal and ultimately, ideal for the more subdued, luxury-seeking couples. 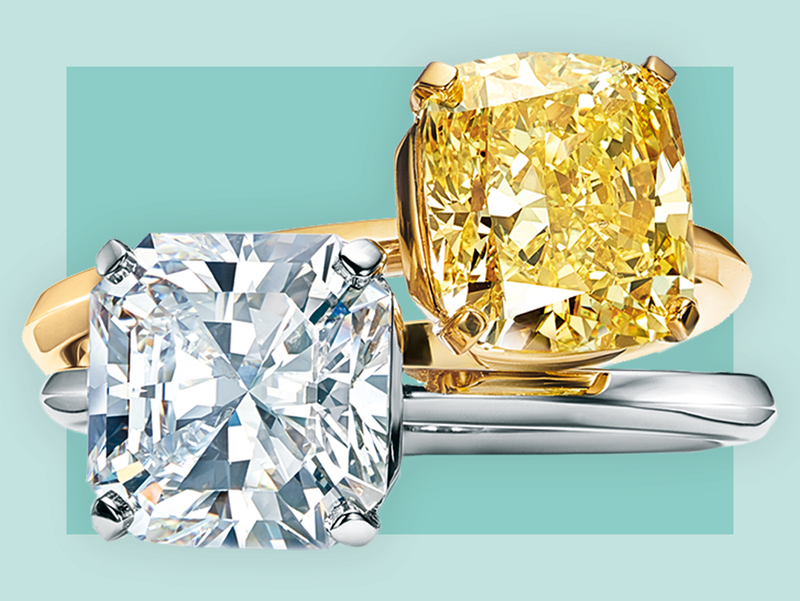 Tiffany True will be available in two options: either a platinum band with a white Tiffany True cut diamond, or an 18K yellow gold band featuring a yellow cushion cut diamond. Prices start at $7,000 and run well into six figures. The diamond cut also lends itself to an especially delicate band, sculpted so that its own reflectiveness won’t compete with the stone, with the basket’s subtle prongs blending seamlessly into the diamond. 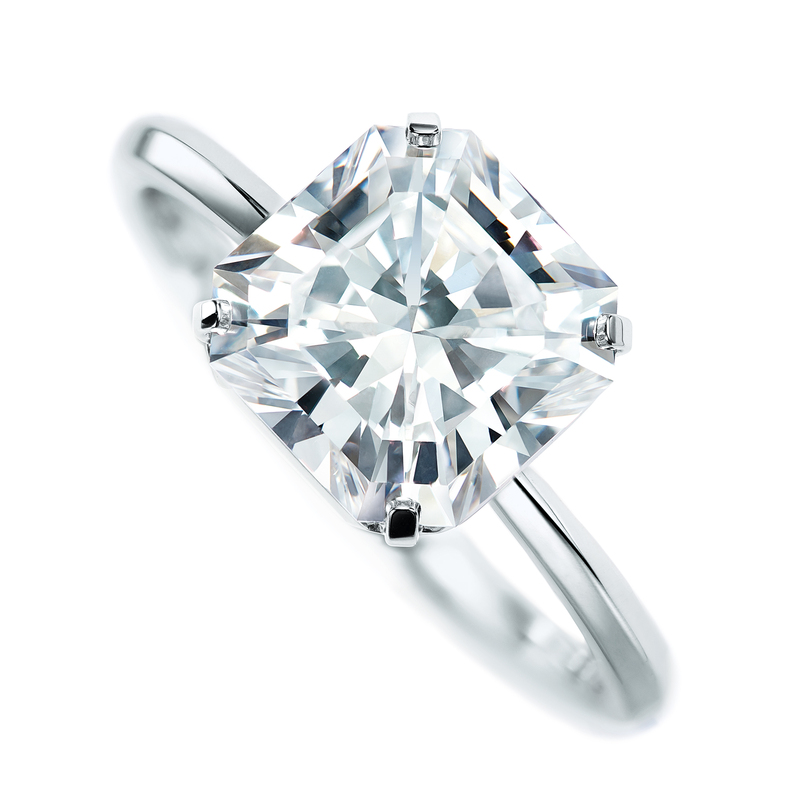 This is reflective of the brand’s core identity founded on the Tiffany Setting, a classic solitaire diamond which has become one of the most in-demand engagement ring styles in the last century. 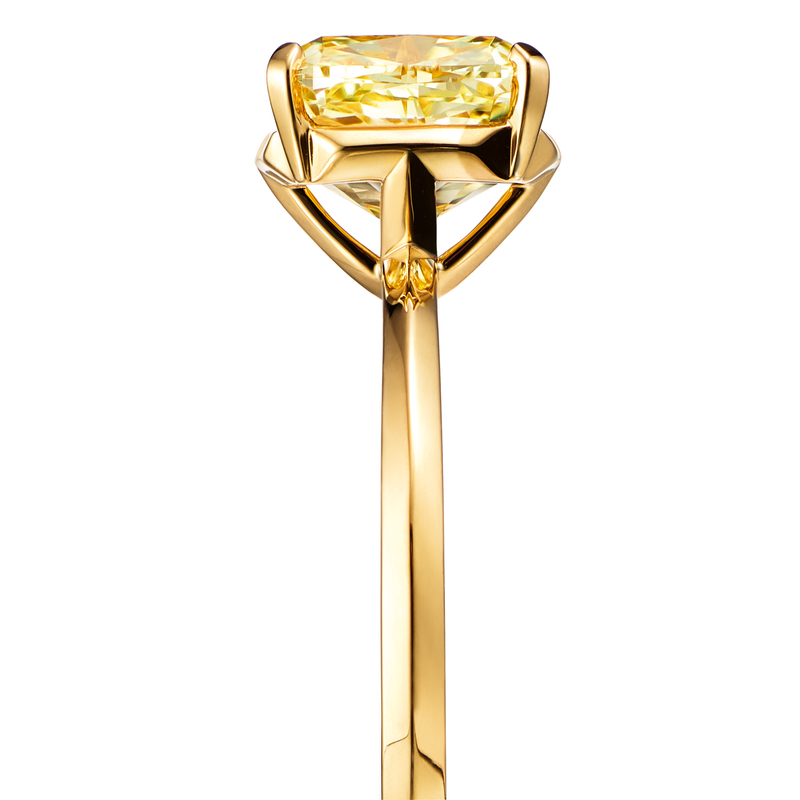 The brand first released its iconic namesake Tiffany Setting back in 1886. 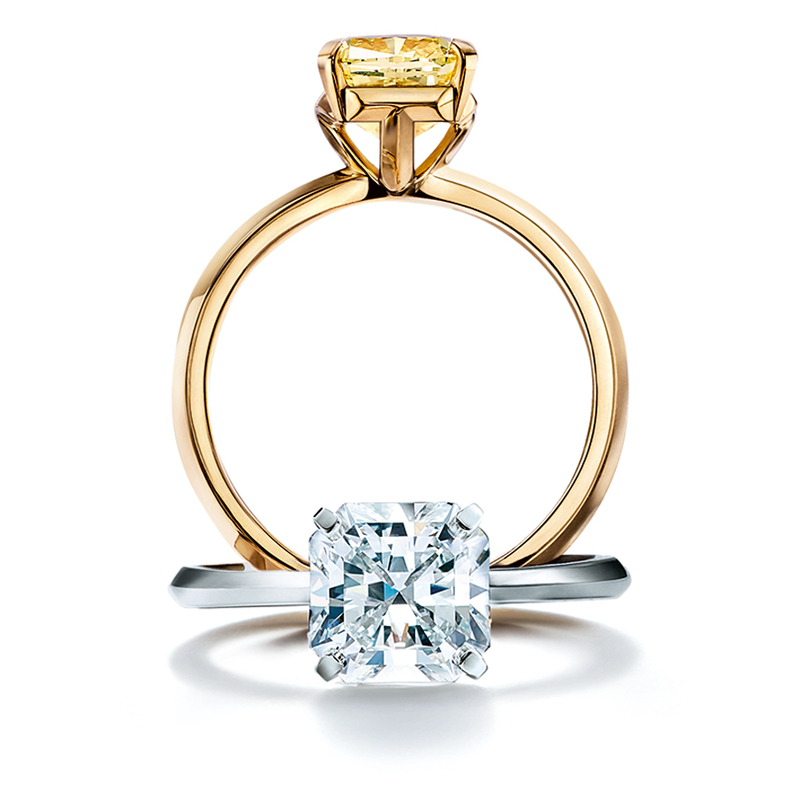 Other cuts to have subsequently been introduced by Tiffany & Co. include the Harmony, the Novo and the Soleste. In a 2017 study conducted by The Knot, it was revealed that the average spending on engagement rings has gone up 25 percent since 2011, from $5,095 to $6,351. The average amount of time that individuals spend looking for the perfect engagement ring hasn’t changed that much, however, with the average length of time hovering somewhere around three-and-a-half months. 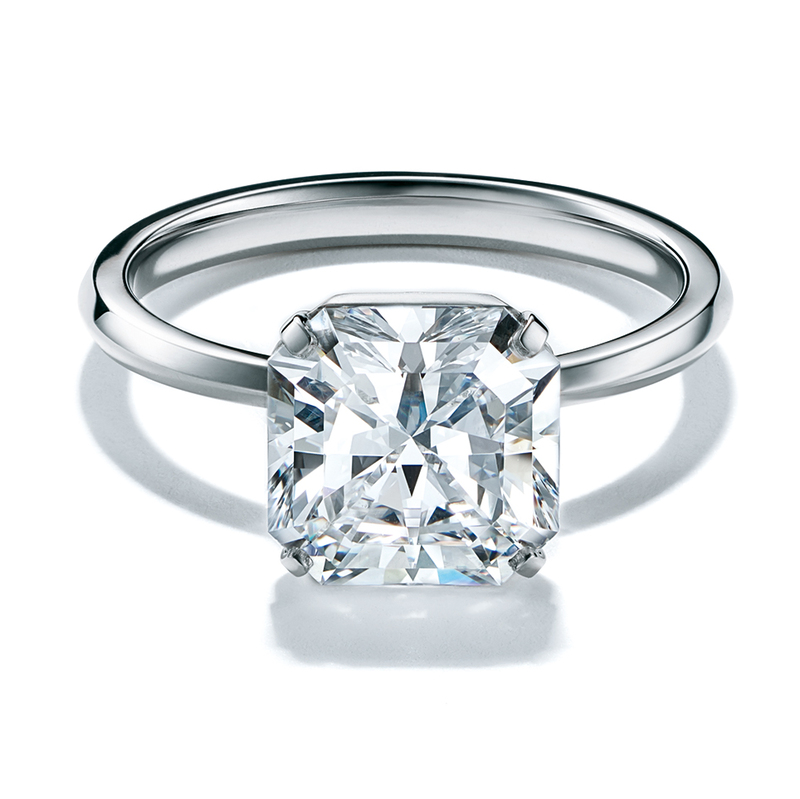 And interestingly, couples in the survey told us that they looked at an average of 26 rings before deciding on The One; maybe Tiffany & Co.’s new Tiffany True cut will help to whittle that number down? 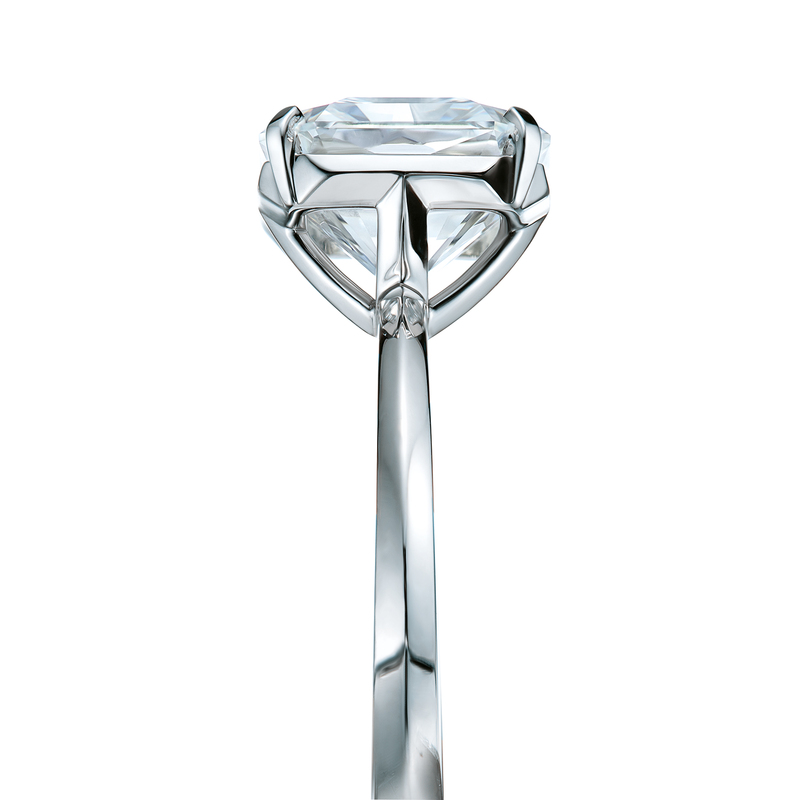 Be the first to comment on "Tiffany & Co. Debuts New Engagement Design Called the “Tiffany True” Diamond"